Where there is Joyo, there is joy! 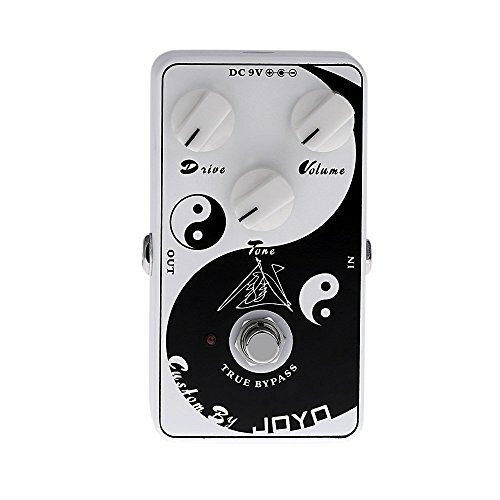 This overdrive pedal is painted with the sign of "Tai Chi". It has 3 adjustable knobs. Try it and get an amazingly musical experience. Aluminum alloy housing painted with the sign of "Tai Chi", sturdy and stylish. Designed with LED light, instructs effects status. Rubber cushions on the back for added stability in performance. Powered by a 9V battery or a 9V DC power adapter (neither included).